Greenbugs, ladybugs, and orange grass oh, my! 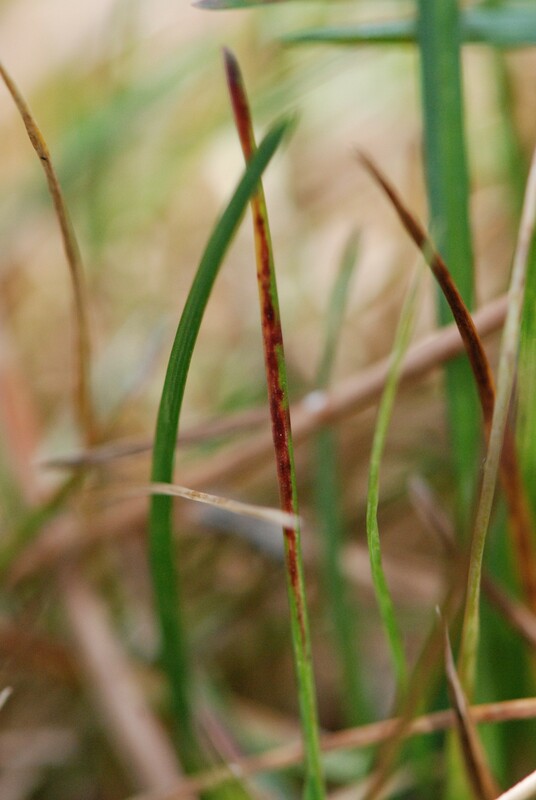 Spring brings out an odd assortment of turf problems, with persistent Necrotic Ring Spot and mites headlining the show. 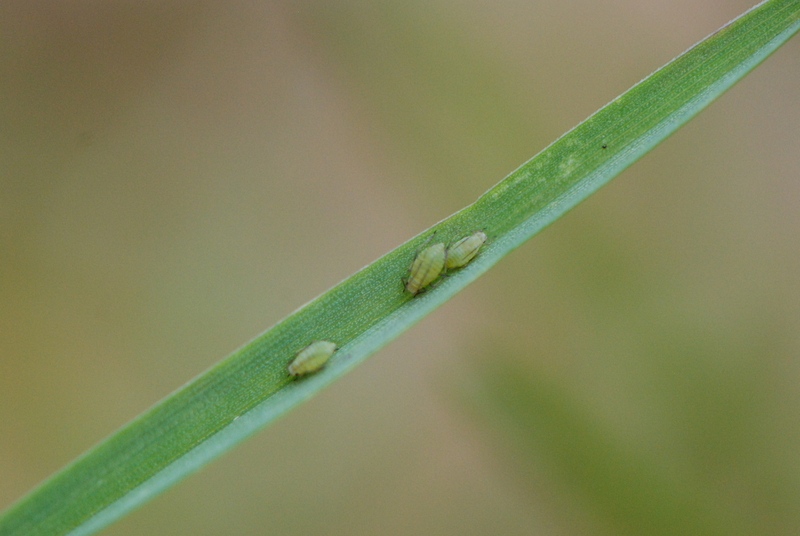 But this year I got called out to a lawn where something special is going on – I had the rare treat of seeing greenbugs in action. If only the homeowner was as thrilled as I was. You see, the scene playing itself out in his front yard is better than any reality show drama; there was birth, death, hunting and foraging, all accessorized by a backdrop of translucent orange grass that glows in angled light. When you don’t see this often, it’s nifty. But the homeowner wanted a solution to this problem, after all, these greenbugs were killing the lawn. The largest spot was nestled under a large pine tree, with a few smaller spots under the Ash. This is common here, with trees providing some type of buffer that lets the greenbugs survive some winters. In all, the orange greenbug spot was 10 feet long by five feet wide, and I could understand why this was disturbing the homeowner. Fortunately the cavalry had arrived, and the ladybugs were doing a good job of cleanup; my main challenge was helping the homeowner to accept that, if given time, those ladybugs would clean up the mess. Armies of insects duking it out on the lawn isn’t everyone’s suburban dream show. 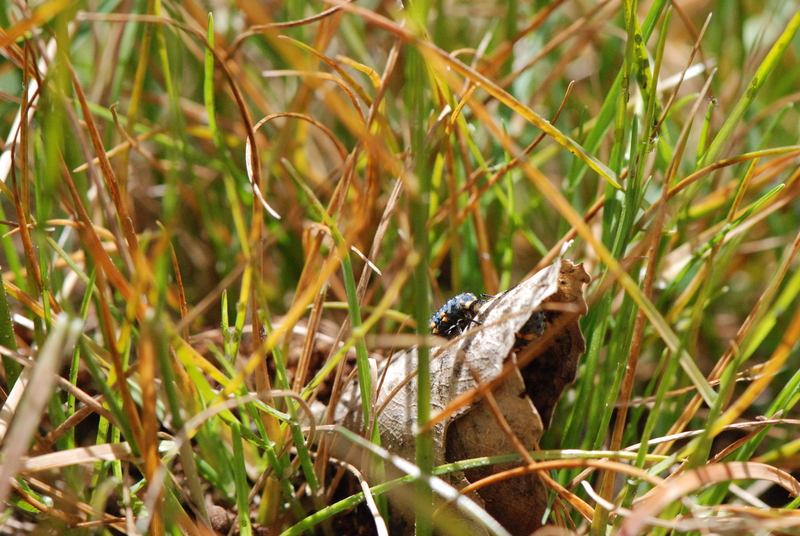 He was very positive about the process and willing to let nature take it’s course, once he crouched down to see the ladybugs in action. 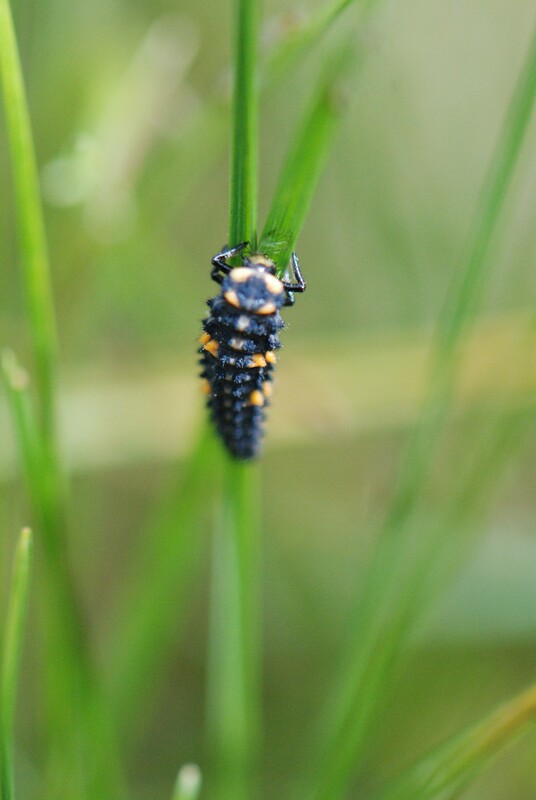 There’s nothing like watching the black-with-orange spotted, spiky creatures wind around grassblades to chomp an unsuspecting aphid. In other areas of the country, greenbugs are a much bigger issue, but in Colorado, they’re more of a novelty. Our winters are usually too cold for them, and this colony probably won’t survive another year. So the homeowner has agreed to wait it out, and reseed in a few weeks when the dust settles out there.